MISSION STATEMENT: GCM is a non-profit organization with a mission for all animals to be treated by people with kindness. We promote compassion, respect and protection of all sentient creatures and encourage churches and similar organizations to have either their own animal ministry or GCM extension. We advocate sharing the environment with all creation in peace and harmony. We believe our mission is to light the way to the kingdom of God by showing responsibility for all of God's creatures. All of creation is groaning in labor pains waiting for the revelation of the children of God – hoping to be set free from slavery to corruption (see Romans 8:19-22). Jesus came to set the captive free. He is holding all things together (see Col. 1:15-17) until He comes again in glory. Since God is compassionate to every creature (Psalm 145:9), GCM strives to spread His compassion to all He has made. There will be a time when all animals will live peaceably together and there will be no more suffering (Is. 65:25). This is God’s will on Earth as it is in Heaven. Being His adopted children and made in His image, God gave us dominion over all He has made. (Psalm 145:13-18). Animal Caregiver/Veterinary Charity Fund - Helping people with their veterinary expenses nationally. Hope for Strays - Helping stray cats with Trap-Neuter-Release, veterinary care and adoption in Northern NJ. ö Humane treatment of animals. Modern factory farming commits animals to lives filled with pain and suffering. All animals, including chickens, turkeys, cows, and pigs, experience painful mutilations without anesthesia, intense crowding, and frustration of basic behavioral needs. Slaughter is always terrifying and, recent reports have shown, often terribly painful. ö Adoption of a companion animal from an animal shelter or rescue group. Puppy mills continuously breed female dogs. The puppies often have chronic health problems. Often, pet stores selling puppies buy 99% of them from puppy miles (which they call "breeders"). ö Humane clothing. Animals trapped for fur suffer intense, prolonged pain, sometimes even chewing off their limbs in their desperate effort to escape. "Fur farms" are even worse. Animals grow up in tiny cages, which causes them great suffering. They are usually killed with intense pain, including electrocution. ö Humane research. Animal experimentation is inherently cruel, and non-animal methods are, in many respects, scientifically superior. ö Humane entertainment. For example, circuses often use violent training methods; rodeos hurt animals in many ways; and staged fighting (bulls, roosters, dogs) is cruel. ö Living a healthy lifestyle. Eating a plant-based diet and remembering that the body is a temple of the Holy Spirit (1 Cor. 6:19). Most diseases are a result of poor diet and living outside of God's will morally and physically. ö Respect for God's Creation. We are to be good stewards of God's Creation, yet people have repeatedly yielded to the temptation to cruelly exploit defenseless animals. We support all who care about animals with prayer, information and help. 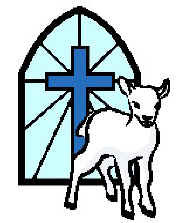 Every church or community could have a GCM or animal committee (please contact us for forms). Have a meeting or special class to start and meet regularly. õ Teach compassion to animals in classrooms and encourage your pastor to promote animal welfare from the pulpit. õ Hand out literature in public places and at Christian events. õ Have a vegetarian dinner (Gen. 1:29). õ Have pet food drives to assist people who are having difficulty feeding their companion animals. õ At a church service or function, honor community members who have shown care and kindness towards animals. õ When making purchases, think about how they affect animals and the environment. õ Move toward a plant-based diet. The new four food groups are grains, legumes, fruits, and vegetables. õ Support animal welfare with letters to newspaper editors. õ Be a foster caregiver to a dog/cat or adopt. õ Volunteer at your local shelter/rescue group. õ Provide shelter and straw in the winter for outside animals. õ Help, in any way, all animals who may need you. A non-profit organization dedicated to promoting compassionate responsibility towards God’s creatures. GCM has a Veterinary Charity Fund that provides financial support to those who need help with veterinary expenses. We also have a Hope for Strays program to provide support to those who care for stray cats. DVD Christian Concern For All God's Creatures based on our 2006 conference. Includes scriptures, resources and questions for discussion. ideal for church leaders and classes. Suggested donation $15 each (five for $55). ___ I would like to purchase ____ DVDs. Please send to me at the address below. Payment enclosed. ___ I would like to do a 'Walk a Mile' fundraiser for the Veterinary Charity Fund or Hope for Strays. ___ I am interested in volunteering or starting a GCM in my area. Please contact me. Thank you for your support & God Bless! do all for the glory of God.